I heard it on the grapevine that the World Travel Market (WTM) London was the travel event to attend. So, I promptly booked my tickets. The kids have been asking to move beyond holidaying in the UK. Trinidad & Tobago or Mauritius should be our natural choices for our first oversea trip but I wanted to explore other options. Additionally, I was eager to find out more about the travel industry, travel blogging and what opportunities were available to micro influencers. What did I find? Well… I got: holiday inspiration, a better understanding of the industry and what’s expected of infulencers. Overall, my first WTM London was a success. I always commute into London but WTM was one of the largest press events I’ve ever attended. Hats off to the staff of the London Underground and DLR, they worked hard to ensure delegates’ travel went as smooth a journey as possible. My journey was virtually stress free due to their efficiency ensuring passengers knew where to get on and off for WTM. Pre-event WTM was also quite good at giving suggestions for accommodations, along with details how to get to the venue. Excel London was easy to get to. It’s a massive facility with great lighting, ample toilets, and eateries, free Wi-Fi and disable access and so on. 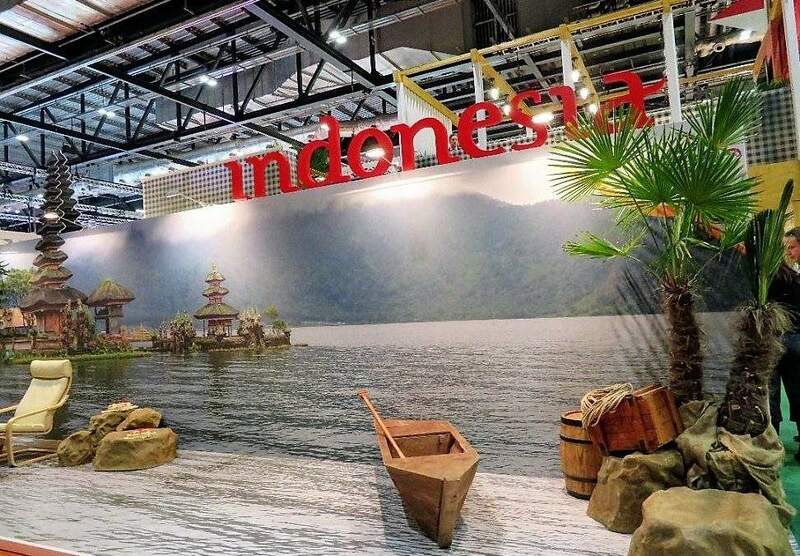 WTM London transformed the space into a global dreamland with countries from all the continents showcasing their attractions. 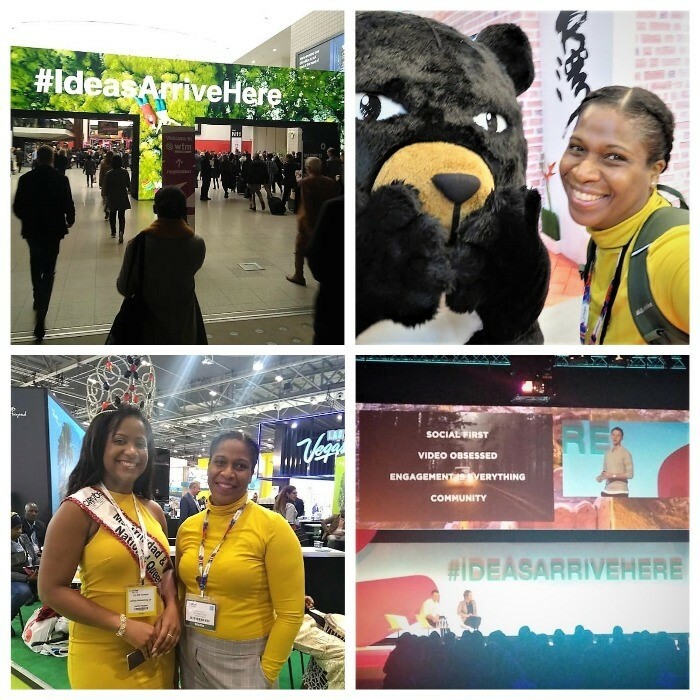 I attended WTM London on Day 2. I meet up with Caroline of Travel Eat Slay and Sonia Greyson-Newman (blog of the same name). Sonia and I were new to the show so Caroline took us under her wing. We attended a couple seminars together (The Next Two Years of Infulencer Platforms and Tourism and Brexit Britain) before splitting up later in the day. Together Sonia and I ended our day at the Content Is Still King seminar followed by visiting a view stands. On Day 3, I was primarily on my own. However, I did arrange to meet up with award winning influencer Kacie of The Rare Welsh Bit blog. I also ran into another award winning influencer, Ursula of Caribbean & Co. It was inspiring listening to their experiences. They helped me to be more confident at the event. 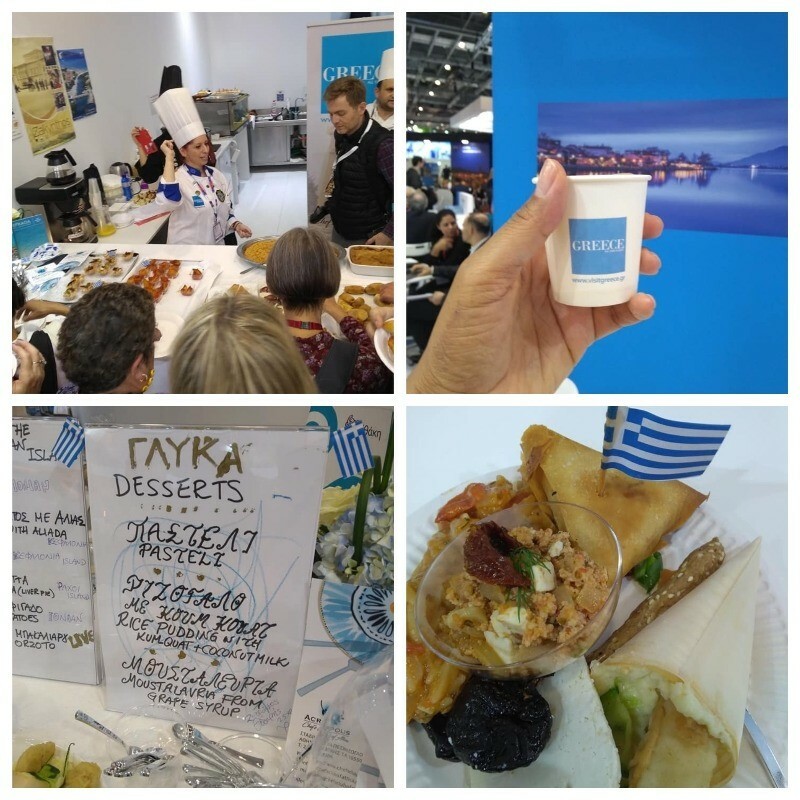 I had the pleasure of having lunch at the Greek stand, at their invitation, on that day. It was delectable. They served dishes from the Ionian Islands and would you believe salt fish (salted cod) was front and centre. One day soon, I’ll try to create their Fried Cod & Garlic Dip and the Salted Cod Orzoto. In the queue, I struck up a conversation with travel blogger, Olivia from Guide to Adventure and another blogger who backpacks solo. It was great not to dine alone but also share experiences. My WTM London experience drew to a close at the Caribbean Tourism Authority Sunset Hour party. Naturally, there was Soca music and rum punch. For a moment, I forgot it was a chilly autumn day in London. The vibe was nice man. At the party I met the charming Leanne Goddard. She’s the current reigning Ms Trinidad & Tobago. Trinis have a natural warmth and charm that immediately makes you relax. Those few minutes with Leanne felt like home. In the coming months I’ll be sharing more about what I’ve learnt at WTM. Stay tuned. Did you attend WTM London 2018, or any others in the past? What were your highlights? Comment below. As someone who has attended many WTMS working on the otherside of the fence!, it’s really interesting to read a first timers experience. I know it can be overwhelming for some so great to hear you had such a positive one. Hi Lynda, thanks for stopping by. It was full on but I think because was decided what sessions I wanted to attend beforehand and organized my day with breaks etc it was fine. I knew as a micro influencer the best thing I could do was to understand what was expected and work towards improving my content, using the industry standards as a guide. The event sounds really interesting! I’m definitely going to buy tickets next year. Thank you for the take-home advice. I do sometimes feel intimidated, being a micro-influencer, that brands won’t take me seriously, as is sometimes the case!